The F.D thinks and creates the Fashion investigating the body and always vercandone the valorization and exaltation. (Read more). 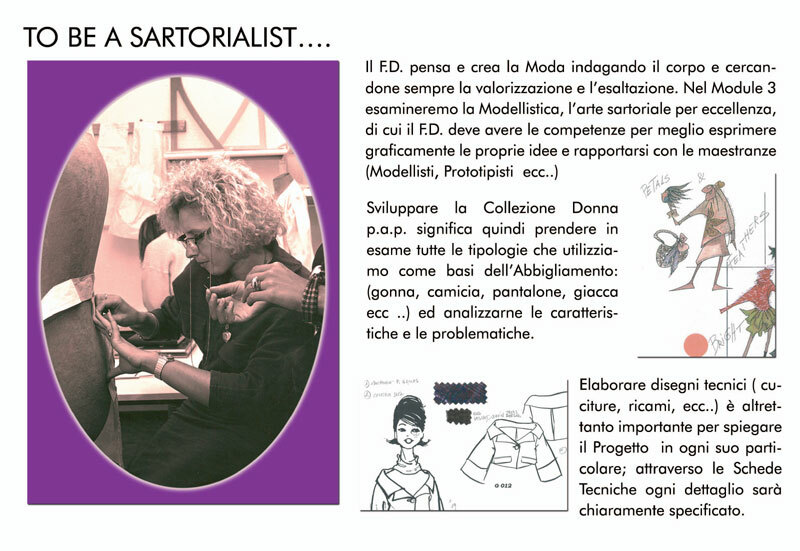 Develop Ladies Collection p.a.p so it means taking into consideration all types that we use as a foundation garment (skirt, shirt, trousers, jacket etc ..) and analyze their carratteristiche and issues. The development of technical designs (stitching, embroidery, etc ..) it is equally important to explain the project in detail, and through the Data Sheets every detail will be clearly specified.